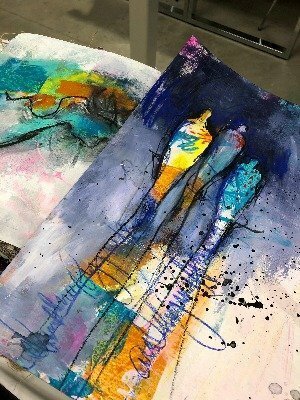 Dina Wakley’s upbeat approach to mixed media gives students the courage to express themselves through art journaling and the creation of mixed media boards. 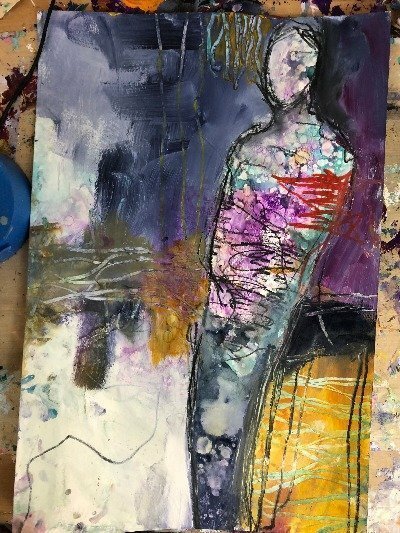 Dina’s guidance and techniques will both inspire and develop participants’ mixed media toolbag, allowing them to go deeper in their work. Join Dina Wakley for a two-day explosion of color and form! 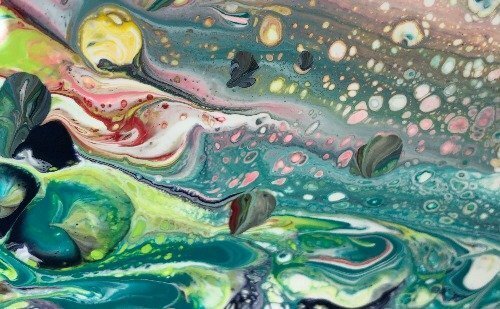 If you haven’t checked into the Paint Pouring craze, you’ll spend the first day understanding this addictive and mesmerizing technique while you create organic patterns on your substrates. 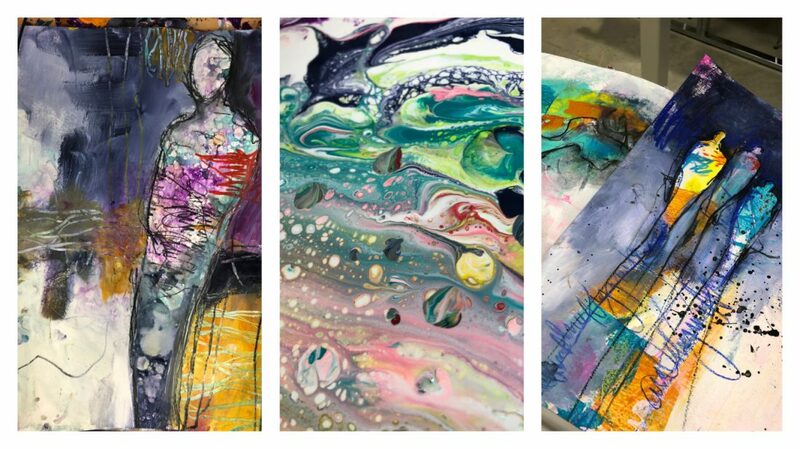 Using Dina Wakley’s pouring medium and cell creator for some, and rubbing alcohol for others, you’ll glean great experience playing mad scientist with acrylic paint and gravity. On day 2, you will turn your organic messes into figurative forms, focusing on lights and darks, multiple layers, gesture, and narrative. There’s no telling what forms you’ll find in your beautiful pours, and Dina’s just the one to help you coax them out. 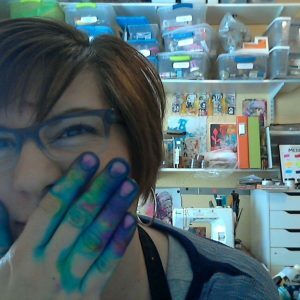 You will need to bring some basic tools and supplies for the paint pouring. You may want a small notebook and pen for taking notes, as well. If you’d like any of the above items waiting for you, email Kristin and we’ll start you a bag of supplies. Three 12″ square substrates, like wood panels (Dina’s preference), canvases, etc. Your registration fee covers 2 days of lunches, snacks, drinks, chocolate, and instruction by the irrepressible, Dina Wakley! Register early as seats go quickly! You may register for Dina’s workshop by using our “$99 holds your spot” deal which allows you to pay over time. Please note that your $99 deposit is nonrefundable but is applied to your balance. Your balance ($287) is due no later than September 1, 2019, and can be made via PayPal or Credit card on this page. Not paying the balance on or before the due dates results in the loss of your deposit and class seat. Before registering for classes, please familiarize yourself with our Cancellation Policies Updated September 2018. Your balance ($287) is due no later than September 1, 2019. Not paying the balance on or before the due dates results in the loss of your deposit and class seat.